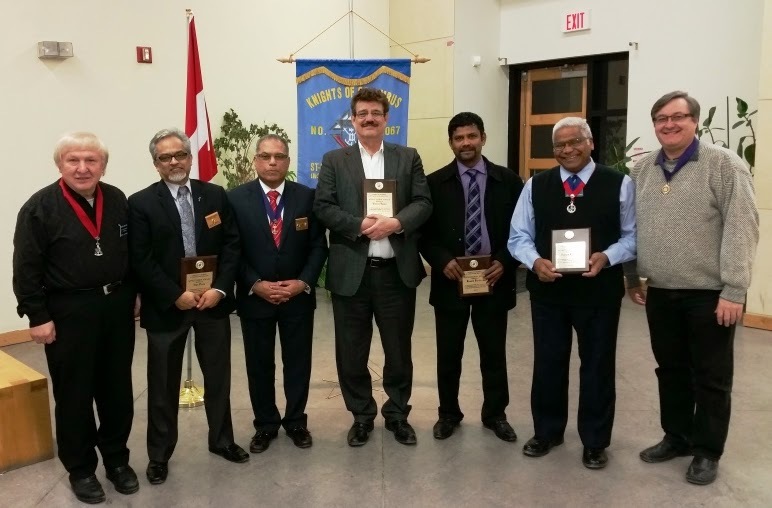 The St. Francis Xavier Council 120767 presented appreciation plaques to various businesses that have been supporting the council and squires for many years. 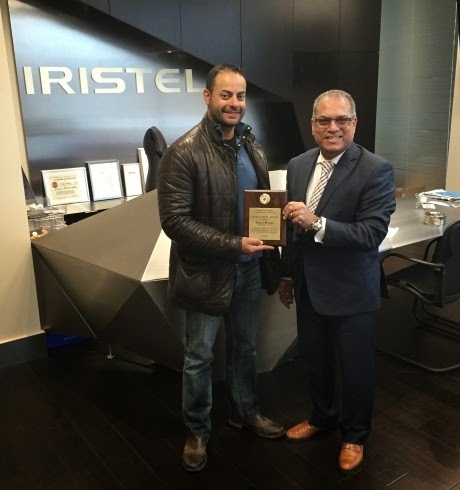 Samer Bishay, President of Iristel Inc. seen here is receiving the plaque from Edwin D’Cruz GK of the council. 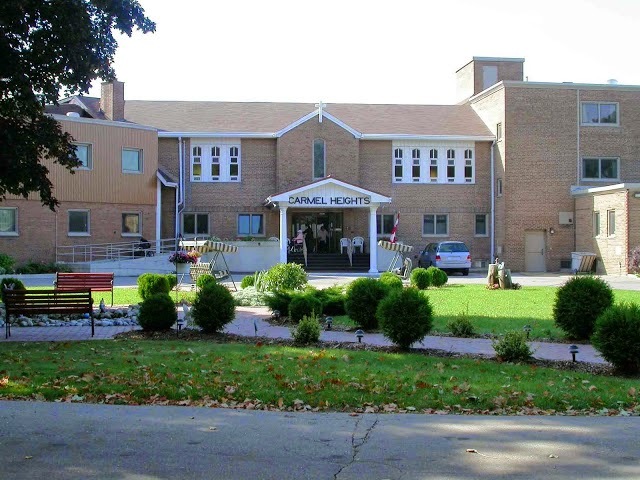 Anyone willing to help with the Seniors Bingo, to please come to Carmel Heights Seniors Residence on 1720 Sherwood Forest Circle (Dundas and Mississauga Rd. area) on Thursday January 29 at 7pm, we start the bingo at about 7:15pm. The bingo runs till about 8:30pm. The bingo is held every last Thursday of the month. The Knights of Columbus, St. Francis Xavier Council #12067, is pleased to announce the winners of their first Parish Manger Competition. We take this opportunity to thank all the participants and regret that we could not accommodate all the late comers. We do hope that next time you will put in your entries well on time. Thank you. A reminder of the council’s activities for the month of January. Please make every effort to attend and support the council’s events. Executive Meeting on Tuesday, 13 January @ 7.30 p.m. in the Upper Hall Coordinator-Edwin D’Cruz. General Meeting on Monday, January 19 @ 7.30 p.m. in the Parish Hall-Coordinator-Edwin D’Cruz. Council Spiritual Evening on Wednesday, January 21 @ 7.45 p.m. after the mass). Coordinator-Bro. Mike Hessing. 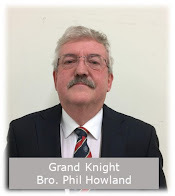 First Degree Exemplification on Saturday, January 24 @ 10.30 a.m.sharp in the Parish Hall-Coordinator-IPGK Joseph Remedios. Mount Carmel Seniors’ Retirement Bingo Evening on Thursday, January 29-Coordinator-DGK Patrick Bajcar. 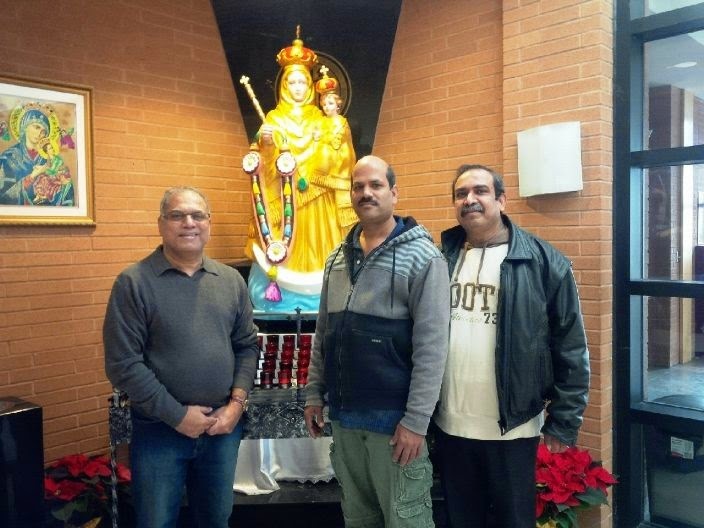 Brothers Agnelo Mascarenhas, Tiburcio Quadros and the Grand Knight helped in the unpacking of Our Lady of Vailankanni statue which had arrived from Chennai, India. The statue has been placed inside the St. Francis Xavier Church and will have its formal blessing and ceremony in the next few months. The St. Francis Xavier Council 12067 made a donation of $1,000.00 to provide assistance and relief to deserving families from the community in support of the society's Christmas Program. The families in need are provided with food gift cards. 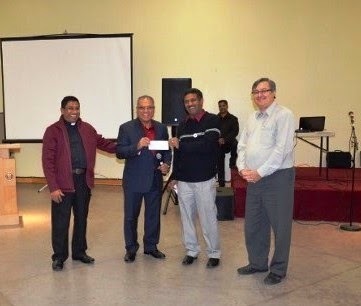 Seen in the picture is Edwin D'Cruz, GK presenting the cheque to Ryan Fernandes, President of the Society of St. Vincent de Paul, St. Francis Xavier Conference. Also seen in the picture are Fr. Susairaj, Associate Pastor and Patrick Bajcar, DGK.